Personally I would buy a Land Rover or a Macan. Jaguar will also mean "cars" to me not trucks/crossovers. That's what people said about Porsche when the Cayenne was announced. People said they would never accept it. Get used to it. Greetings! Just got through many pages of discussion and reviews, then hit the site to configure mine. Close to pulling the trigger on a reservation, but will need to see/sit in person. That said, I think my days with the Cayenne are numbered! Good move. I put down my deposit directly with the nearest dealer way back in October. I will be the only person getting an F-Pace First Edition from that dealer because Jaguar will provide only one First Edition to each dealership. The dealer called me with that news last week. But you can order an S with the same options. It'll just cost a couple grand more. Last edited by Plainsman; 12-27-2015 at 05:01 PM. Done! F-Pace S, Black on Black and loaded. The dealer tells me that around March I will go in and finalize the order, with the car expected May/June. Cool, let us know how you like the F-Pace vs. Cayenne. Nicse!!! & what Wolfy said!.. Ordered F-Pace V6 3.0D First Edition Blue Caesium, delivery forseen in may. Seriously considering one to replace my aging A6. Need an SUV and have a deposit down on a Tesla X but having second thoughts. Really want to test drive both first. What kind of $$ are you getting into the Tesla for? I have been following the X for some time. Why oh why can't we have Caesium Blue, Jaguar? $90K+ for a Model S, $100K+ for a Model X. Possible to go less than that, but some options just seem essential (longer range, winter package, leather, etc). With the base model I would not be able to reach the nearest service center without a recharge. While they are very cool cars, I can't justify that price. saw the f pace at the san diego auto show. impressed!!!! they will sell many of them I suspect!! great job jag!!!!! Called the dealership today as they told me at the beginning of the month that they expected to have one on display at the end of the month...but when I call today they have no idea when they'll have one. I just saw it at the DC Auto Show. It is even hotter in person than in the photos!!! Love it! That being said, the way I'd want it equipped, we're talking closer to $65k, and I can't afford that. Especially since it's a more practical car, and there's so many other cars I could buy for $65k, although none would be as practical!! I think I would buy one. Pretty loyal to the brand. And it comes with a V-6, unlike the discovery sport. I hope the dealer here has one to look at in the next couple months. The 01X JL is getting long in the tooth. Long time owner of Range Rover Sport (2008). Love it, best vehicle ever owned! But its getting a little long in the tooth and it time for something new. Wife and I are just not in love with the new model Sport and definitely don't like the price! We've looked at every Xover and SUV and couldn't find anything just right. 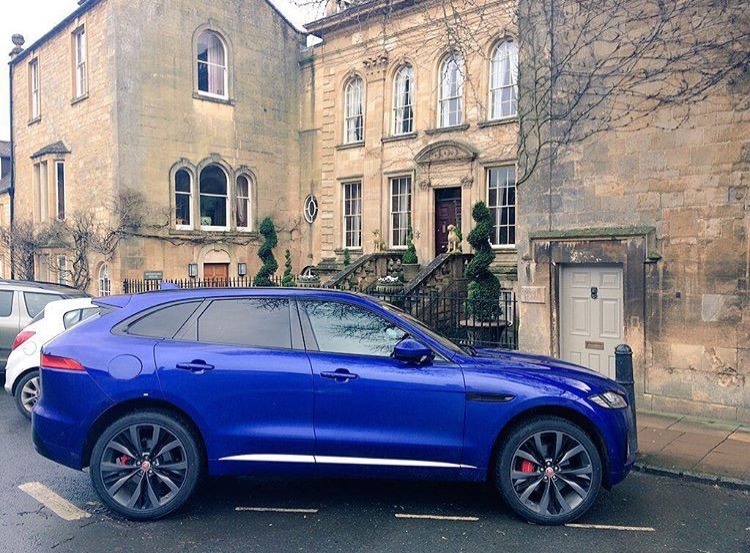 Then we saw the F-Pace in print. Did something we've never done before - ordered one sight unseen! Dealer placed the order in Jan for (hopefully) May delivery. I figure its worth taking a blind chance here - I've been in the XF and loved it and this interior is pretty close. And if we get it and hate it after a few months, oh well, it was worth the shot. But I have a feeling this is the one. I loved my 08 RRS/SC. Sometimes I wish I had kept it; easy to get in and out of with arthritic knees, but not good for old dog. Saw this pretty cherry X308, so traded. Don't much care for the styling in the current LR/RR line. Hoping this the one. Beautiful color but not available here in the US? And you can only get the Edition 1 in one color? Which color is that? Last edited by Dremorg; 02-03-2016 at 10:09 PM. Quick Reply: How many of you would really buy F-Pace?